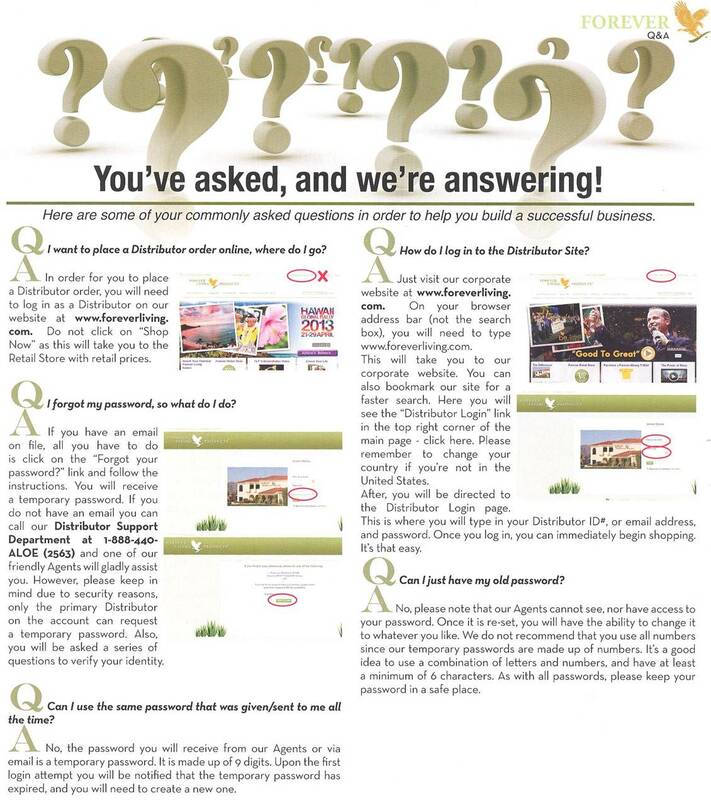 A: The easiest way to join is to sign up using our online Join Our Team system. A: No, becoming a Forever Living Distributor is completely free. 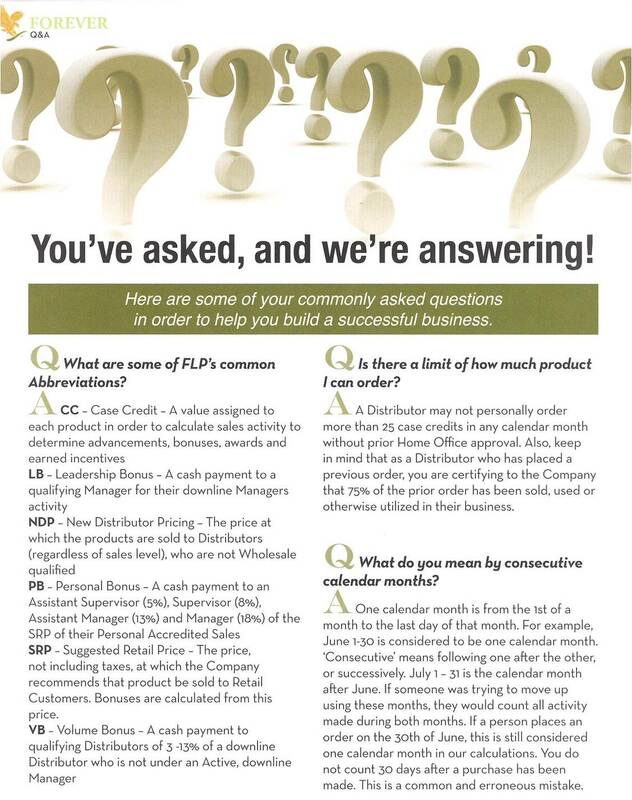 Q: Can I still buy products without joining as a Distributor? A: Yes, simply click on the Retail Shop link at the top right of the page and you can shop as a retail customer. Q: What is the minimum purchasing order? A: For retail customers there is no minimum order. There is a $50 minimum order for all Distributors. A: Distributors can return defective product within 30 days of the date of purchase. Retail customers can return product for any reason within 30 days from the date of purchase. Q: What is a case credit? A: Case credits are the units by which we measure sales volume. The products are assigned case credit values, and these values are accumulated as the product is purchased to determine level move-ups and qualification for various Distributor incentives. Q: How much is a case credit worth? A: A case credit is worth approximately $140 Wholesale, $170 New Distributor Pricing and $200 Retail. 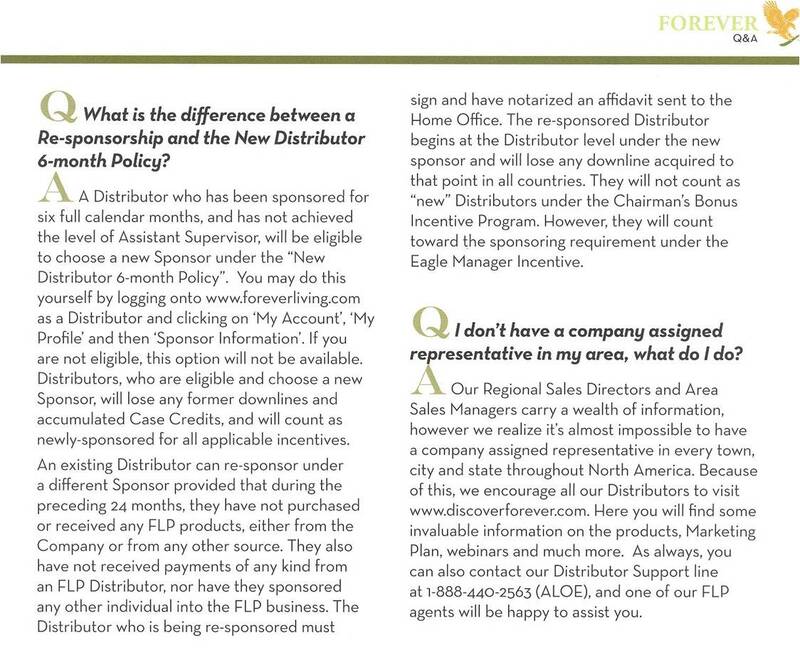 Q: What is the earning potential of a Forever Living Distributor? A: The earning potential is really up to you. Some Distributors work the business part-time to help supplement their income, while others work the business full-time earning substantial incomes.